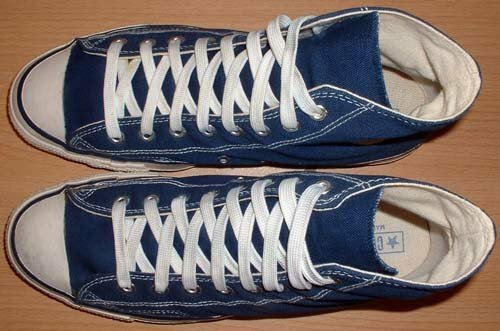 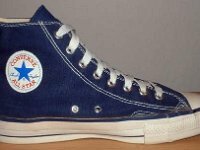 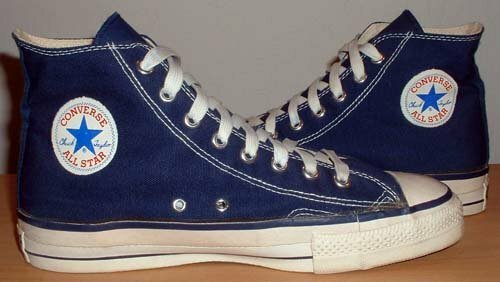 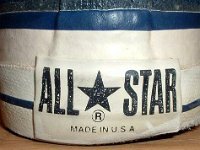 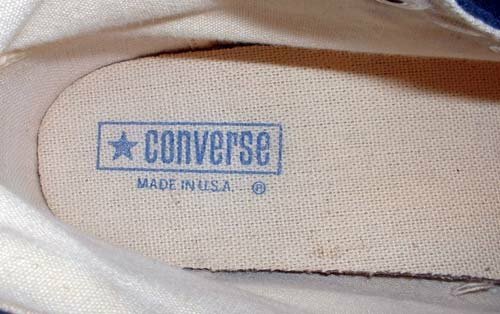 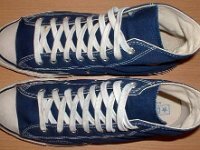 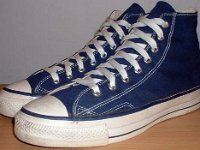 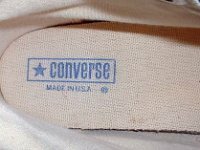 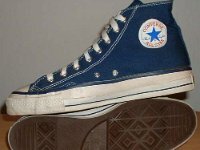 Photo gallery of vintage 1970s navy blue high top chucks. 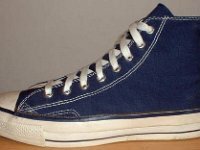 1 1970s Blue High Top Chucks Inside patch view of a right navy blue 1970s high top. 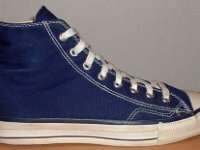 2 1970s Blue High Top Chucks Outside view of a right navy blue 1970s high top. 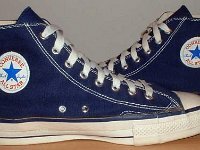 3 1970s Blue High Top Chucks Outside view of a left navy blue 1970s high top. 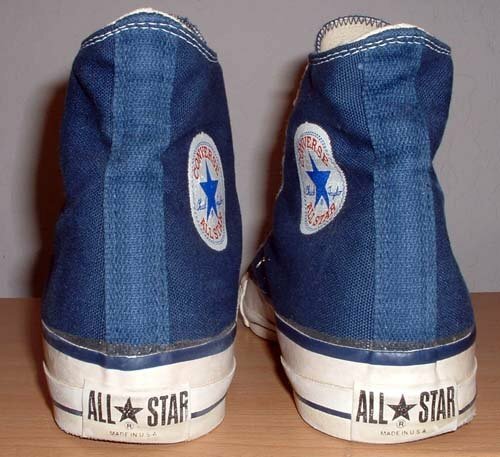 4 1970s Blue High Top Chucks Inside patch view of a left navy blue 1970s high top. 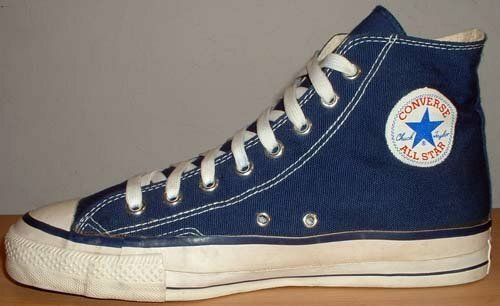 5 1970s Blue High Top Chucks Rear view of navy blue 1970s high tops. 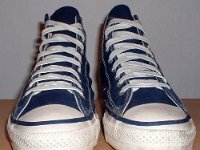 6 1970s Blue High Top Chucks Front view of 1970s navy blue high tops. 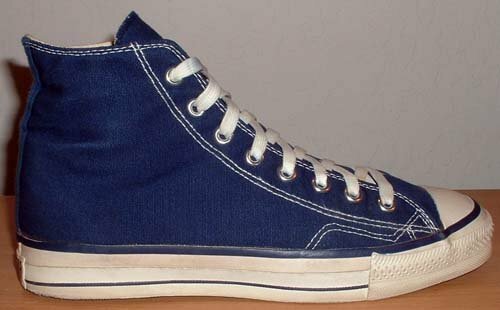 7 1970s Blue High Top Chucks Angled side view of 1970s navy blue high tops. 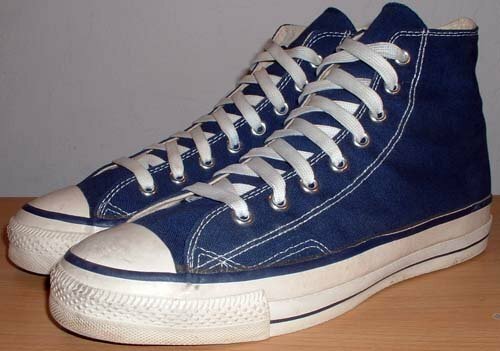 8 1970s Blue High Top Chucks Top view of 1970s navy blue high tops. 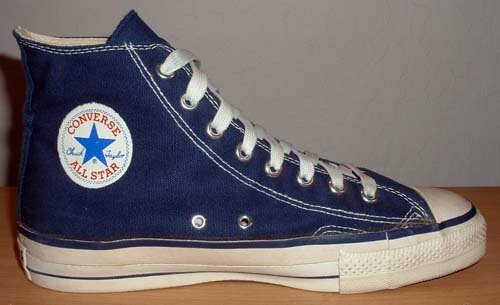 9 1970s Blue High Top Chucks Inside patch views of 1970s navy blue high tops. 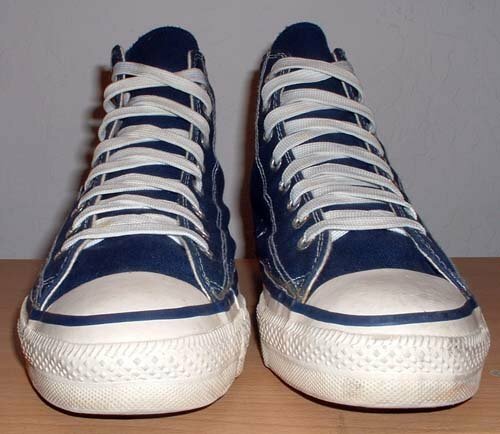 10 1970s Blue High Top Chucks Inside patch and sole views of navy blue 1970s high tops. 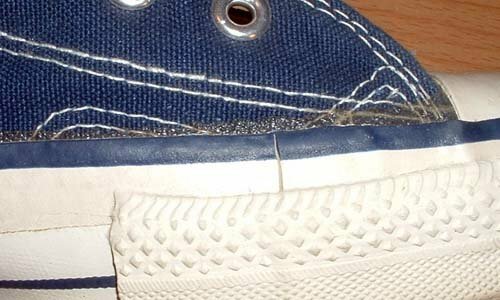 11 1970s Blue High Top Chucks Close up of inner stitching on a 1970s blue high top. 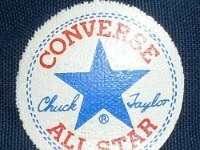 12 1970s Blue High Top Chucks Close up of an ankle patch on a 1970s navy blue high top. 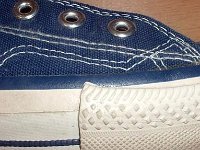 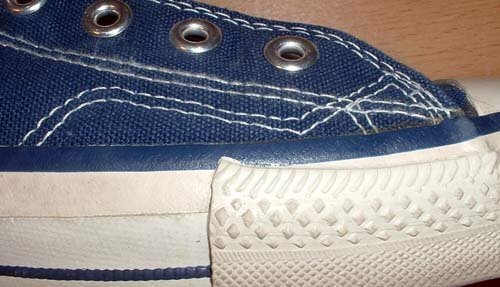 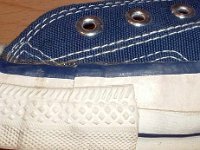 13 1970s Blue High Top Chucks Close up view of the inner sole, inner canvas, and heel support of a 1970s navy blue high top. 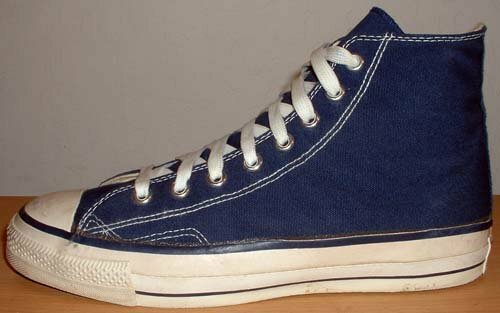 14 1970s Blue High Top Chucks Outer sole view of a right 1970s navy blue high top. 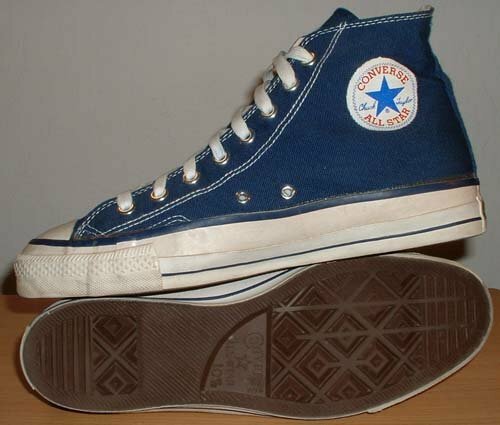 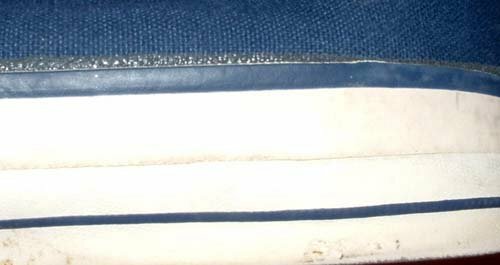 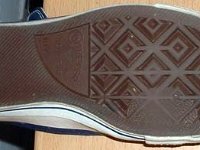 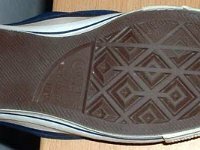 15 1970s Blue High Top Chucks Outer sole of a left 1970s navy blue high top. 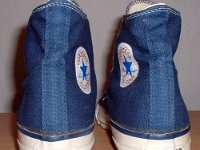 16 1970s Blue High Top Chucks Close up of the outer wrap and piping on a navy blue 1970s high top. 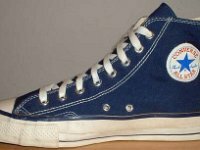 17 1970s Blue High Top Chucks Close up of the right side of a left 1970s navy blue high top. 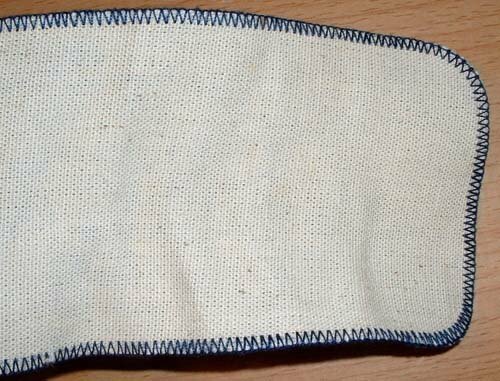 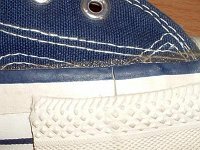 18 1970s Blue High Top Chucks Close up of the left side outer stitching of a left 1970s navy blue high top. 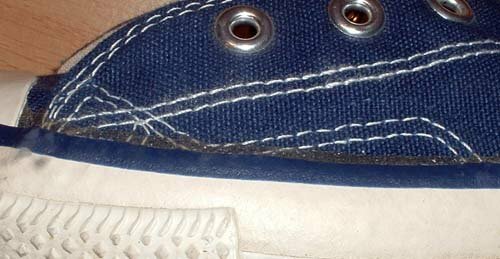 19 1970s Blue High Top Chucks Close up of the outer stitching on the left side of a right 1970s navy blue high top. 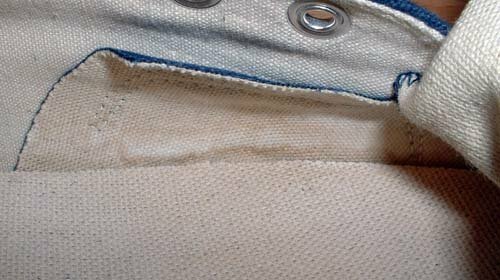 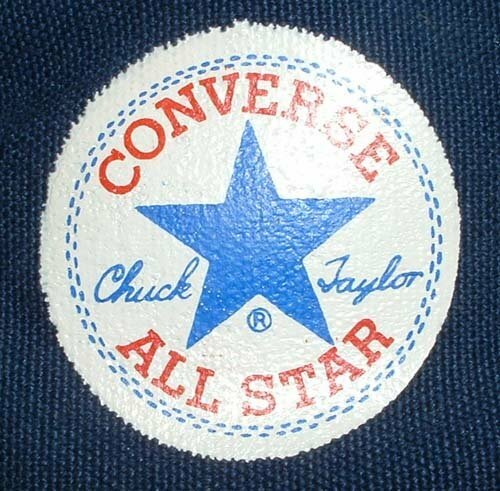 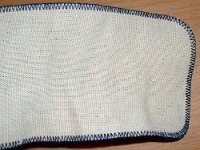 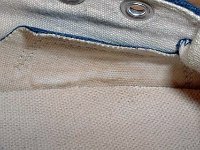 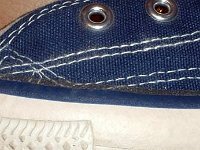 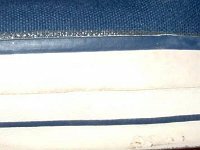 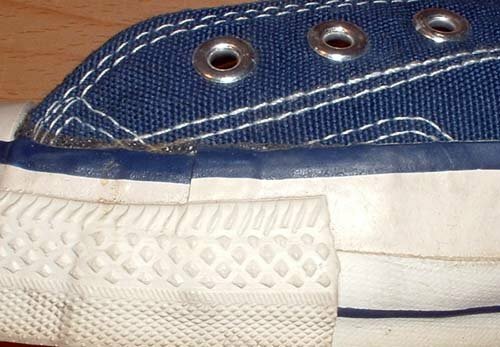 20 1970s Blue High Top Chucks Close up of the outer stitching on the right side of a right 1970s navy blue high top. 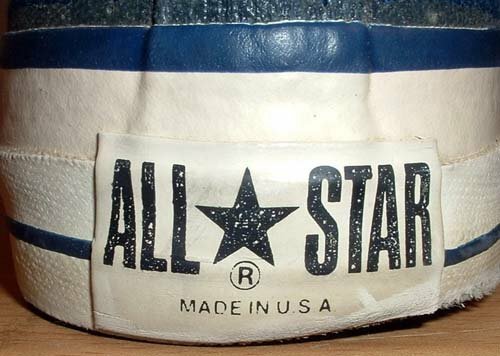 21 1970s Blue High Top Chucks Close up of the left toe cap on a pair of 1970s navy blue high tops. 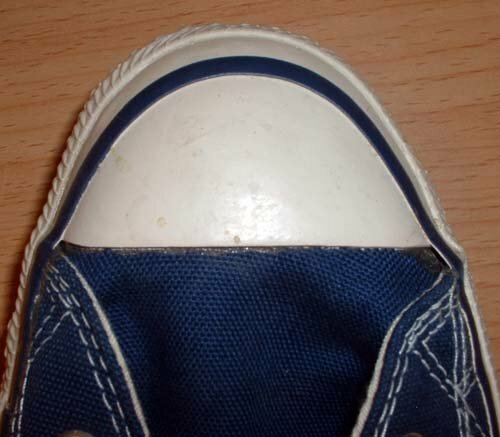 22 1970s Blue High Top Chucks Close up of the right toe cap on a pair of 1970s navy blue high tops. 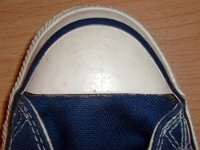 23 1970s Blue High Top Chucks Close up of the inside of the tongue of a 1970s navy blue high top. 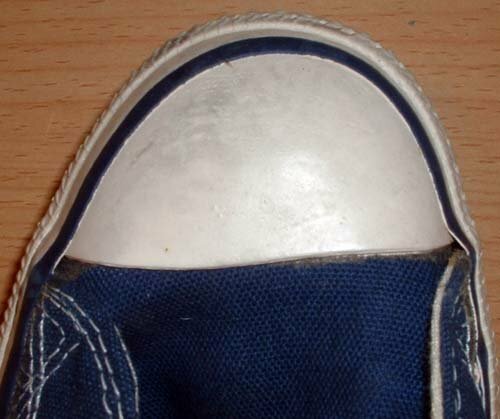 24 1970s Blue High Top Chucks Close up of the heel patch on a 1970s navy blue high top.